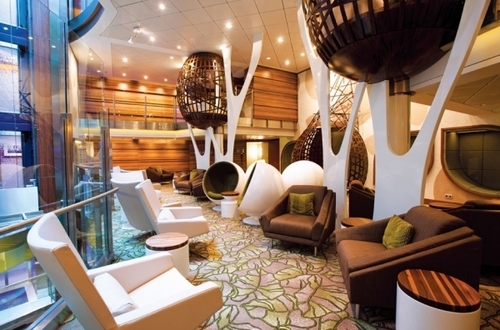 Sail surrounded by stunning decor on the Celebrity Eclipse. The sparkling waterfalls and thickly padded lounge chairs will allow you to slip into a land of tranquility. 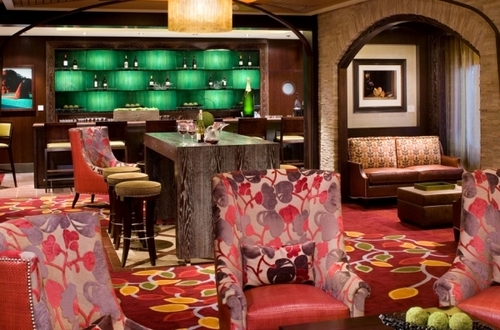 For even more relaxation, head over to the Canyon Ranch SpaClub or find poolside serenity at the Solarium. Sensational shows await you in the lounges, and the library isn’t too far away for a little quiet time. From the buffet to the more upscale Qsine and Murano, there’s a cuisine selection for every taste. With daily makeup and turndown service, Celebrity’s signature eXhale bedding, an interactive flat-screen television and even your own private mini-bar, your stateroom is just as luxurious as every other spot on the Eclipse. Most of the staterooms on the ship have balconies so you can enjoy your own perfect private view. 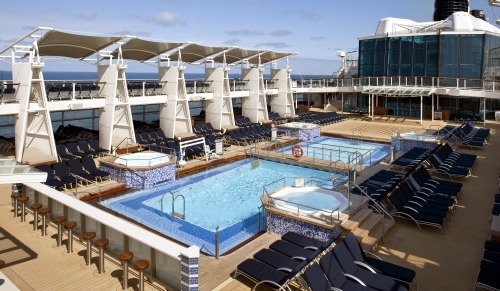 No matter what your sailing style, Celebrity Eclipse will have something for you. 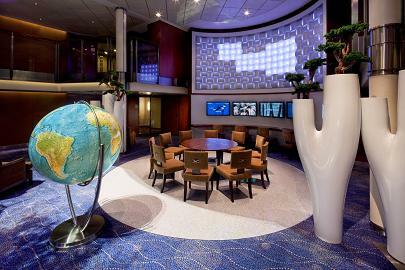 Dining Hours 6:15 p.m. & 8:45 p.m.
Celebrity will automatically add $14.50 per day, per guest for standard staterooms to your onboard account ($15.00 per day, per guest for Concierge or Aqua Class staterooms and $18.00 per day, per person for Suite staterooms). These amounts can be adjusted onboard. An 18% tip is added to all beverage orders.